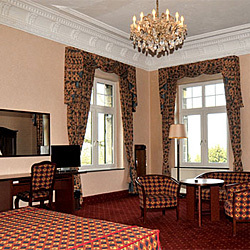 A Romantic castle hotel between lovely Maastricht and marl town Valkenburg. Best price guarantee. Nowhere cheaper. No reservationcosts. Best Price guarantee. Nowhere cheaper. 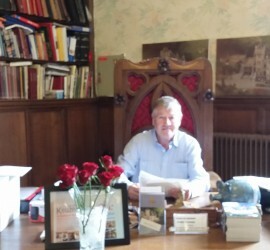 (Only by direct booking at the castle). Free Minibar (soda's and water), only by booking by telephone or via this site! Lowest fares. Whatever other sites claim. As a hotel guest you can dwell in the large, comfortable sitting areas, or at the terrace with view over the Geul Valley. 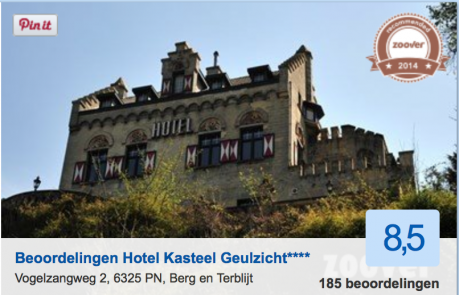 Guests of Geulzicht Castle stay and sleep in the original castle itself! 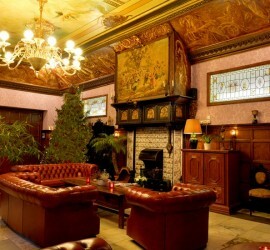 Castle hotel Geulzicht is surrounded by woods and on the edge of a greenbelt called Ingendael. The hotel is for guests only, so you find an atmosphere of privacy and silence you will not find at many other places. 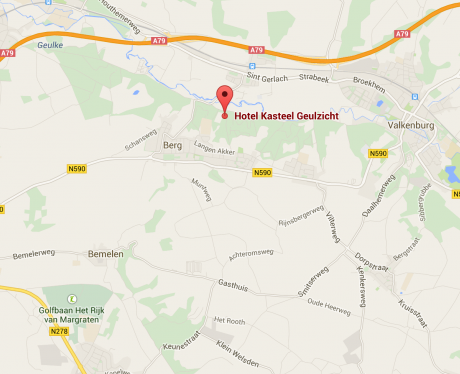 Castle hotel Geulzicht is located between lovely Maastricht and marl town Valkenburg, in the enticing Geul Valley. 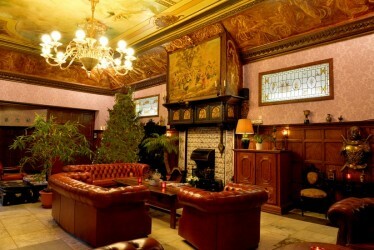 A castlehotel with a rustic character and romantic flair of a hotel furnished in the English country manor style.